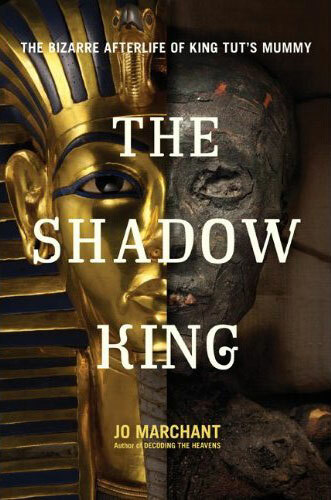 Award-winning science writer Jo Marchant traces the story of King Tutankhamun’s mummy from its first brutal autopsy in 1925 to the most recent arguments over its DNA. From the glamorous treasure hunts of the 1920s to today’s high-tech scans in volatile modern Egypt, Marchant introduces us to the brilliant and sometimes flawed people who have devoted their lives to revealing the mummy’s secrets, unravels the truth behind the hyped up TV documentaries, and explains what science can and can’t tell us about King Tutankhamun. Hugely enjoyable…luminous and illuminating…rich in bright perception. The Guardian. Read chapter one of The Shadow King in Newfound magazine. Why does the mummy’s curse refuse to die? Once a myth lurches into life, there’s no stopping it.